Quick heads up if you’ve been wanting a Rabbit. Last seen at ATM5 collectors who couldn’t make it to the pop up can now pre-order! 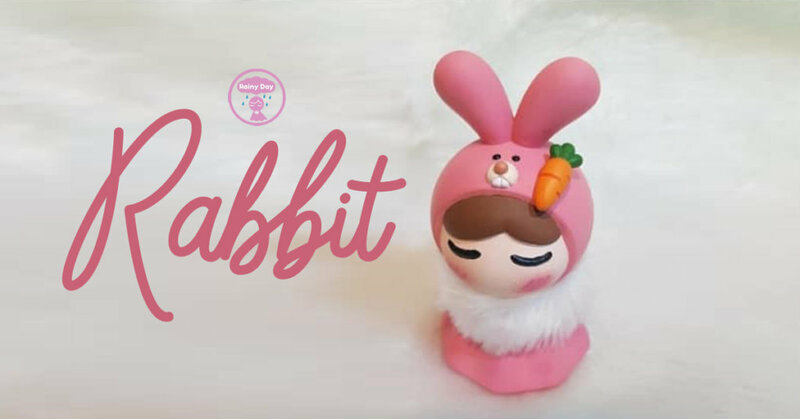 We’ve seen the Duck edition and now Thailands ChamPagn€ is ready to warm your hearts with her Rainy Day Rabbit. You can order by typing F or type number of orders 1,2 you would like to buy in the comment section of the latest photo via Facebook HERE (limit maximum 2 pieces per person). Rain Day will contact you back asap and tell you how to make the payment by paypal. All orders will be able to transfer within 3 months time. The buyer needs to pay in full first. Find Rainy Day via Facebook and Instagram.